The only "not-quite-from-scratch" recipe on Natural Girl Diary, I make these in a pinch for something to bring to a festive holiday gathering, a brunch, or for my kids' school parties. Yes, my kids are allowed to bring home baked goods to school for their birthdays or other celebrations. 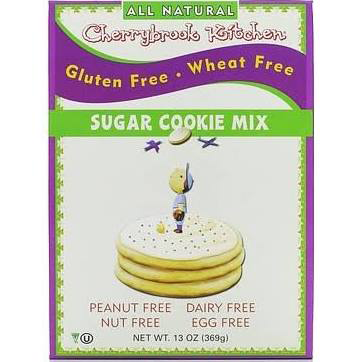 BUT, since most kids have food allergies these days, I use a pre made mix that is Dairy-Free, Gluten-Free, Nut-Free, and Egg-Free! 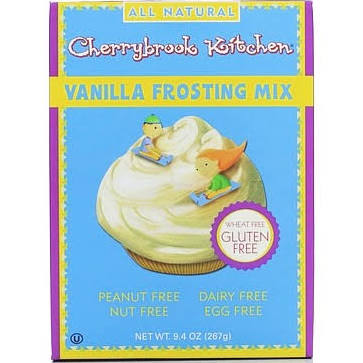 Below are some pre-made cookie and frosting mixes that fit that bill and are delicious. Why re-invent the wheel? Just follow instructions on packaging, frost, and top with chopped fruit of choice. (Above cookies are topped with strawberries, raspberries, and kiwi. These would also look great with a fresh mint leaf). 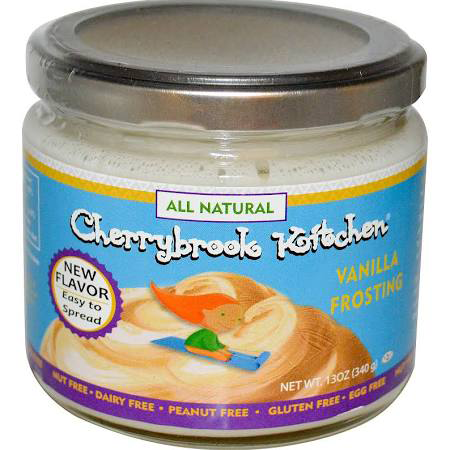 Cherrybrook Kitchen products were created by a woman with multiple food allergies who developed all her mixes from scratch. Along with her husband, the goal of their company is to make life sweeter by providing desserts that are safe and delicious for all to enjoy.